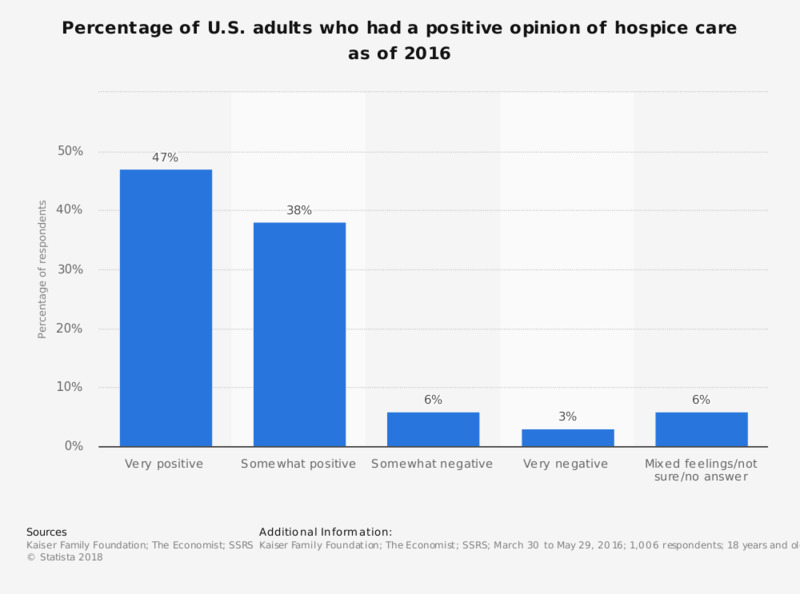 This statistic displays the percentage of adults in the U.S. who had a positive opinion of hospice care as of 2016. It was found that 47 percent of respondents felt "very positive" about hospice care. Original question: "What is your opinion of hospice care?" Among respondents who knew at least a little about hospice care.